McCloud Nature Park near North Salem, Indiana, is turning the big 1-0 this year. 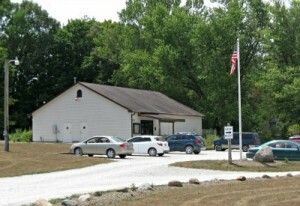 That&apos;s right -- the Hendricks County park will hit the decade mark and to celebrate, Hendricks County Parks & Recreation is hosting the McCloud Park Anniversary Event on Saturday, May 4. As it turns out, there&apos;s another nice round number to celebrate on May 4, too. The historic truss bridge that was saved, restored and moved into the park is now 100 years old! Double the reason to celebrate! 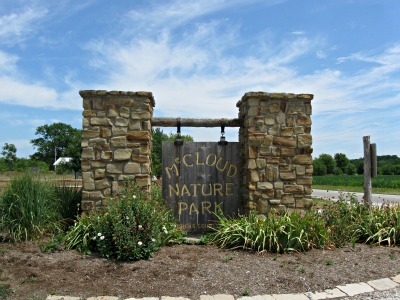 From 9 a.m. to 9 p.m. on May 4, come out to McCloud Nature Park -- one of Hendricks County&apos;s best-kept secrets -- and join the celebration with a wide variety of organizations offering a wide variety of fun and educational activities -- all for the low, low price of FREE! For example, the Hendricks County Solid Waste District will be there to teach us all about the recycling options within Hendricks County. William Roche, the superintendent of Hendricks County Parks & Recreation, will be there to talk about the master plan for developing McCloud Nature Park. Folks from the Indiana Department of Natural Resources will teach us about forestry. 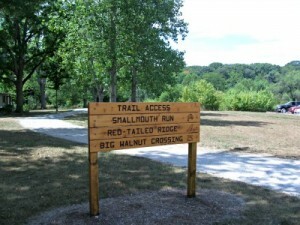 The B&O Trail Association will have news and maps. There&apos;s going to be a presentation on gardening and rain barrels. Even Smokey the Bear will be there for photo opportunities and free printed pictures! Be sure to bring a little cash with you, too, for the food vendor: Perillo&apos;s Pizzeria & Italian Eatery out of North Salem. Have you tried Perillo&apos;s pizza, subs, bread sticks and salads? Holy marinara, Batman. Don&apos;t miss out! Then comes what I&apos;m looking forward to the most: free cupcakes and ice cream from noon to 2 p.m.! After all, what&apos;s a celebration without cake and ice cream? I have to hand it to Hendricks County Parks & Recreation for their sense of humor. Right after cupcakes and ice cream, the Hendricks County Health Department will be there to teach us how to make healthy living easy. Then you can tour an ambulance and have your blood pressure checked by the Eel River Township Fire Department. And after that, the Hendricks Regional Health YMCA will instruct us on ways to live well. Stuff us full of cupcakes and ice cream and then drop the hammer on us. Well played, naturalists, well played. There&apos;s a ton of other stuff to do at McCloud Nature Park for the anniversary celebration, too. There will be presentations about birds, trees, water quality, prairie restoration, and the stars above. There will be live music, a creepy and cool reptile show by Indiana Jim, and the Hendricks County Sheriff&apos;s Department will bring a patrol car, some SWAT gear, and a K-9 out to the park for everyone to check out. If you&apos;d like some alone time, that&apos;s cool, too. 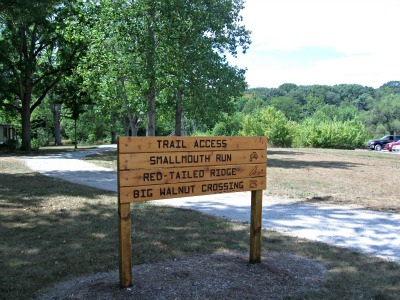 Do some fishing in Big Walnut Creek. Take a hike ... on the 6.5 miles of trails within McCloud. Do some bird watching. Go on some scavenger hunts. Do some canoeing. (BYOC, though. Bring your own canoe.) And no outdoor celebration is complete without a campfire and S&apos;Mores. Although, they&apos;ll be doing S&apos;Moreo&apos;s at McCloud Nature Park. I like where I think this is going... Top it off with some stargazing through a telescope, and you&apos;ve got yourself one fantastic anniversary celebration!